While the heavyweight championship contest between new king Anthony Joshua and Wladimir Klitschko is hands down the number one candidate for Fight of the Year 2017 honors, there is a fight scheduled in the last days of Summer 2017 that has a chance to give the heavyweight match some heavyweight competition. Future Hall of Famer Miguel Cotto will square off against fiery contender Yoshihiro Kamegai in what is reportedly being sanctioned for the vacant WBO super welterweight title inside the thunder-dome of boxing arenas, that being the blood stained confines of the Stub Hub Center in Carson, California, which has spawned multiple FOTY’s in years past. Although Cotto, (40-5, 33KO) is in his 16th year as a professional fist-thrower and will be snapping a near two year ring absence (11/2015 UD loss to Canelo Alvarez), his storied career has been filled with titles and blockbuster fights that few have failed to entertain. 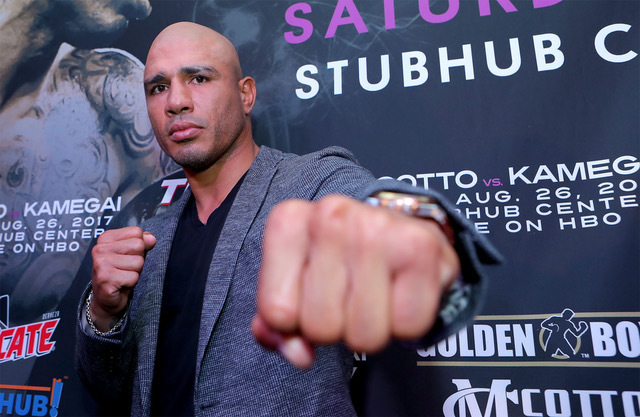 If age is your indictor of whether a fight can become FOTY quality, it was recently mentioned by Roach that Cotto has changed up his fight camp regimen in recent years and has even reduced his running mileage meter. 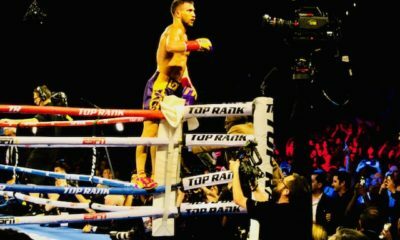 This no doubt has helped extend his career, which is evidenced by meeting his last few opponents (Saul Alvarez, Daniel Geale) at agreed-to catch weights while still throwing punches for the WBC middleweight title. “I’m very excited to be back and showcase a high level fight for the fans,” Cotto said of the announcement of the fight in May 2017. 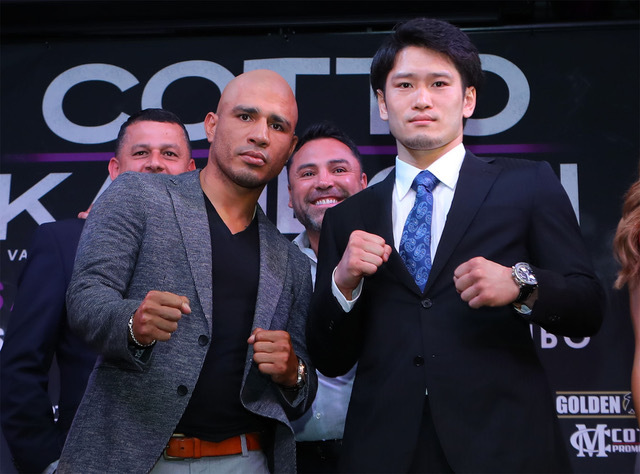 One week later, Team Cotto announced a multi-fight deal with promoter Golden Boy Promotions, which will spearhead Cotto-Kamegai come August. 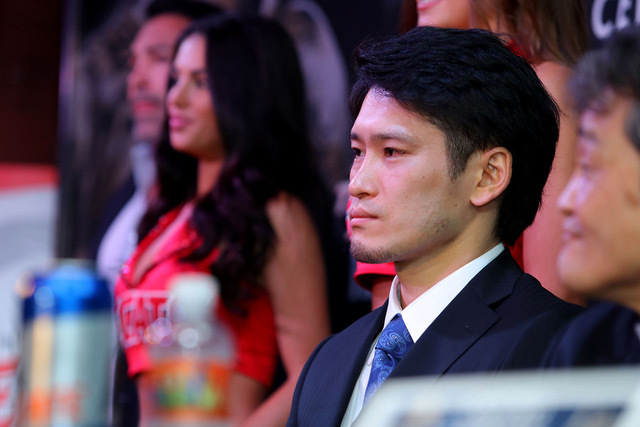 Kamegai, (27-3-2, 24KO) himself no stranger to barn-burner fights, is coming off a rousing Fight of the Year candidate fight against Jesus Soto Karass in April 2016; the all-action fight was declared a split-draw after 10 exciting rounds at the Belasco Theatre in downtown Los Angeles and Kamegai went right back to JSK as an opponent five months later, stopping Karass with a definitive TKO win at The Forum in Inglewood, California. Unfortunately, under the radar is an understatement as Cotto-Kamegai falls on the same day of the hybrid encounter between an undefeated boxer against an MMA fighter who never had a professional boxing contest, that being Floyd Mayweather v. Conor McGregor. Attention will sway heavily towards the mismatch and while three, four, maybe five million pay per views will be sold for this bout, on the same day, 10,000 plus fans will also have a choice to go to a stadium where epic matches are made for live fighting under the sunny Southern California setting and as the sun goes down and the weather cools, a future HOF fighter will glove up against one of the sports toughest outs. Dating back to 2007, five of that ten year spans Fight of the Years occurred in the outdoor tennis stadium that was dubbed the “War Grounds” by 2013 Fight of the Year participant Timothy Bradley. If anything, Cotto-Kamegai at least promises to be a fitting close out to the Summer edition of boxing in 2017. 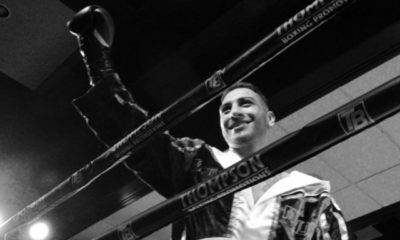 Ringside With Raymundo: The Bradley Blueprint- Can It Work With Mendez?